Schulze Howard & Cox is a prestigious law firm located in Ohio.  It is ranked among the top law firms in the state. The firm provides legal services to clients in the areas of business planning, civil litigation, estate planning, and real estate development. Schulze Howard & Cox builds legal solutions based upon emerging trends in the industry, ensuring its clients get the best innovative solutions anyone has to offer. There are a number of firms and individuals that trust Schulze Howard & Cox with their legal issues in Ohio. Its vast network of attorneys and lawyers pool in their skill and experience to create innovative legal solutions. Schulze Howard & Cox is dedicated to protecting the rights and interests of all its clients. The firm is committed to helping clients through difficult legal issues and representing their cases through experienced lawyers. In the practice area of estate planning, Schulze Howard & Cox provides legal services for probate, estate administration, trust termination, and alternative lifestyle planning. The firm provides a skilled legal team that work solely in real estate legal matters. They have built a high success rate with their specialized knowledge, determination, friendliness, and innovative ideas. Training and learning is an ongoing process at this firm, each lawyer is kept up to date with latest legal issues and service enhancement. Value is embedded in all stages of the legal process to ensure top quality services. Clients are treated with dignity and respect, each case receiving individualized attention and personal care from legal experts. Faye D. Cox, Frank Howard, Dennis A Schulze, and Nicholas Williams are the leading attorneys working at Schulze Howard & Cox. Their experience and services have contributed greatly to the success of the firm. The firm is also known for its pro bono services and community development projects. It offers legal help to a diverse range of clients who cannot afford legal costs. Schulze Howard & Cox also offer pro bono legal services in the area of divorce law, custody law, spousal support law, and family law. The firm has helped many individuals and families through its outstanding legal services.